Oscar Pope (BA 10) has always wanted to create meaningful content that both defines culture and connects people. He first developed an interest in art during his middle school years, a time when he found himself always creating. He took his first official art class in the seventh grade, and in the eighth grade he saved enough money to buy an actual design suite in order to begin to teach himself graphic design. Pope began to put his talent to use by taking requests and making greeting cards, banners and flyers, and along the way, he developed an interest in sports graphics. “At that time, I was in charge of creating all of the programs and bulletins for my church, but I was also interested in creating a lot of sports graphics–anything that had to with sports narratives… with sports photography… or photos of athletes with heavy typography,” he said. Pope, who grew up in Jackson, had friends who attended the University of Mississippi, and he visited the campus during the summer following his senior year of high school. After that visit, he was sold on the Department of Art and Art History in Meek Hall, which was the first place he visited. “I took a right and literally the first classroom I ever saw was a graphic design classroom, and I remember being so enamored by the setup,” Pope said. Pope began his four-year journey as an art major with an emphasis in graphic design. From the outset, he was pushed to create beyond the boundaries of his comfort zone because the art department requires its majors to complete a comprehensive art curriculum that includes drawing, painting and sculpture. Early on Pope was not a fan of the comprehensive approach, but he later realized how essential the studio classes were to his development as an artist. By his Junior year, Pope had decided to double-major in broadcast journalism. He became a production manager for Rebel Radio and a news anchor for NewsWatch at the student media center, but it wasn’t until he accepted a role as visual editor of the Daily Mississippian that he understood how his two degrees could coexist harmoniously. All of Pope’s hard work paid off. During his senior year, his artwork was featured in the Mississippi Collegiate Art Competition Exhibit. One piece of package design and one poster design was chosen and this, Pope said, was one of his proudest moments at the university. After graduation, Pope accepted a position as an advertising coordinator at a sports publishing firm in Atlanta. 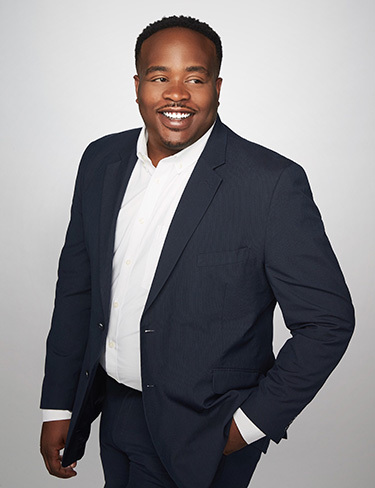 From there he went on to join the Atlanta-based startup Scoutmob as an advertising executive for four years before landing at Creative Loafing Atlanta as a multimedia marketing specialist. However, he made the biggest leap of his professional career when he joined Turner Broadcasting as content marketing coordinator of the NBA on TNT and NBA TV. 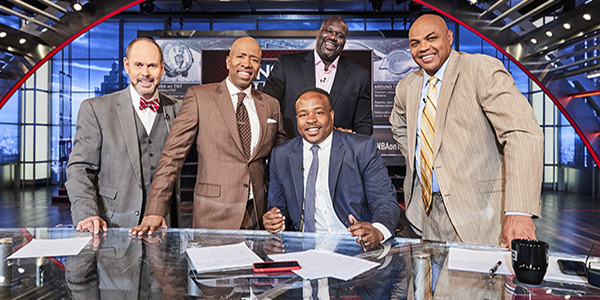 In his role at Turner Sports, Pope handles consumer-facing creative messaging and branding for both networks in addition to NBA.com. Pope said his experience in graphic design is what set him apart. According to Pope, the Department of Art is more than a department, it’s a community that encourages collaboration and breaks down the walls that so often separate people. These free-thinkers and leaders are important because they connect people through their ability to create, Pope said. Oscar Pope is an active member of the Ole Miss Alumni Association. Oscar, Ole Miss thanks you.